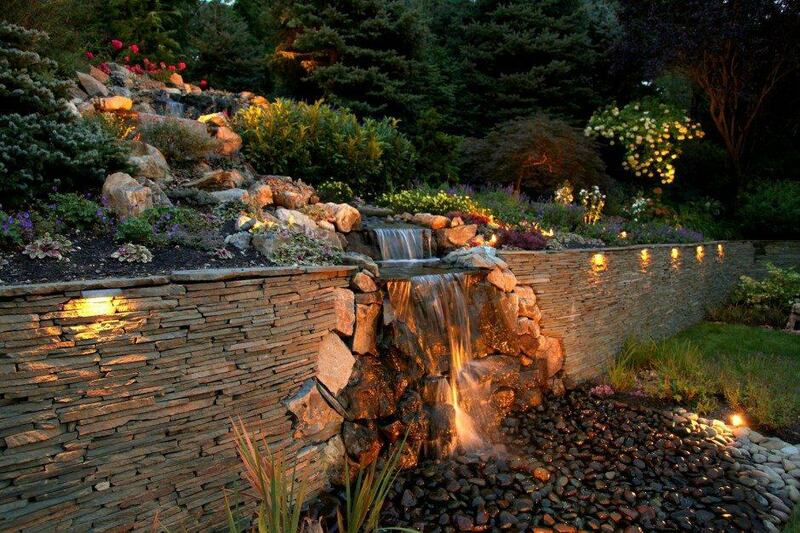 While functioning to stabilize the slope, this dry-stacked, Bluestone Retaining Wall has become a piece of sculpture with a beautifully designed 18 ft. Waterfall as its focal point. In perfect proportion to its setting, the eye is automatically drawn to this center of interest, as it takes its position of prominence in the landscape. The “secret” is revealed! : In this “Before” shot you can see how the illusion was created, as we show the structurally engineered supporting wall behind the decorative façade.